Fiber Care Carpet Cleaning and Repair is the leading Carpet & Upholstery, Tile & Grout Cleaning Service Company in the San Francisco Bay area. Serving Marin, Napa, Sonoma, Solano & San Francisco Counties. We offer Professional, Highest Quality, Carpet Cleaning Service in Bay Area at the best price possible. We strive to provide professional service that is well beyond our competitors. We are so confident that our customers will be happy with the quality of our workmanship, we offer a satisfaction guarantee on all our services. Ask for our satisfaction guarantee deals today! We specialize in the Carpet Cleaning for Any Bay Area City. We also deodorize, stretch, and repair carpets. Our highly trained Fiber Protection technicians use wet and dry extraction methods on carpets and upholstery. The knowledge we have gained through years of experience will give you the peace of mind that you would want when you decide who should clean your carpets and upholstery. Regular cleaning of high usage areas not only enhances the appearance of your fabrics, it also extends their life. Carpets get dirty because of what falls on it, but it also acts as a filter. Your carpet traps dust, dander, organisms, gases, and odors. Most of the soil in your carpet gets there because of dirt tracked by foot traffic—yours and our four-legged friends. This kind of soil is abrasive. 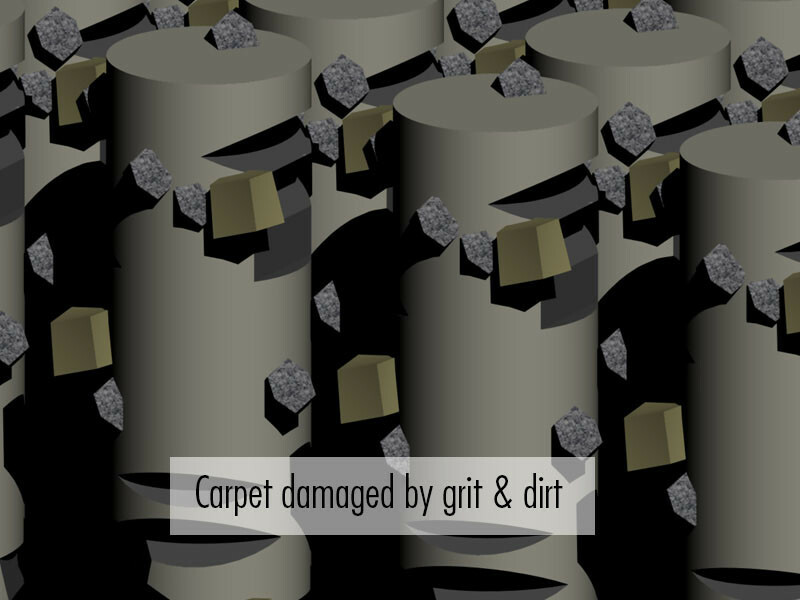 It can wear out the carpet by cutting and scratching the fibers. It’s why older carpet often takes on a dull appearance. Regular carpet cleaning removes the abrasive soil that gets trapped deep in fibers when people walk on it. The rest of what’s in your carpet is usually grease and oils. These substances are acidic—and that’s why most carpet cleaning solutions are alkaline. They neutralize the acids so the grease and oils can be removed. Dirt and soil are considered soluble. Grease and oil are insoluble. What’s the difference? Dirt and soil can be dissolved in water or liquid, and then vacuum extracted from the carpet fibers. Grease and oil tend to stay right where it is. Unless you use a professional to clean your carpets. Our eco-friendly cleaning methods approach both soluble and insoluble substances in your carpet. There’s one more important thing you need to know about your carpet. If the soluble soil has degraded the fibers, it will always look as if it needs to be cleaned. We’ll inspect your carpet and show you where wear patterns may have damaged it. We understand how to clean the carpet because we’ve taken the time to know how it’s made. We’d like to share some of these facts with you. Carpet can be manufactured in one of two ways; weaving or tufting. Carpets that are woven are primarily wool and are very durable, and very expensive as well. The woven carpet types can be hand produced, as it has been for centuries, or by machine. No matter what method is chosen, the same procedures are followed. The yarn for the carpet is woven through or around vertical fibers known as warps and then locked into place with horizontal strands known as wefts. The woven carpets can utilize a variety of colors as well to create intricate patterns in the highest quality of carpets. Once the fibers have been locked into place, the carpet is dyed using a variety of methods that will create patterns or effects. For cut pile carpets, the final stage is stretched, cutting the pile loops. This is an important stage, as it will determine the softness and feel of the carpet. The carpet will also receive a secondary stretch backing as well to give it stability and allow it to be stretched during the installation process. 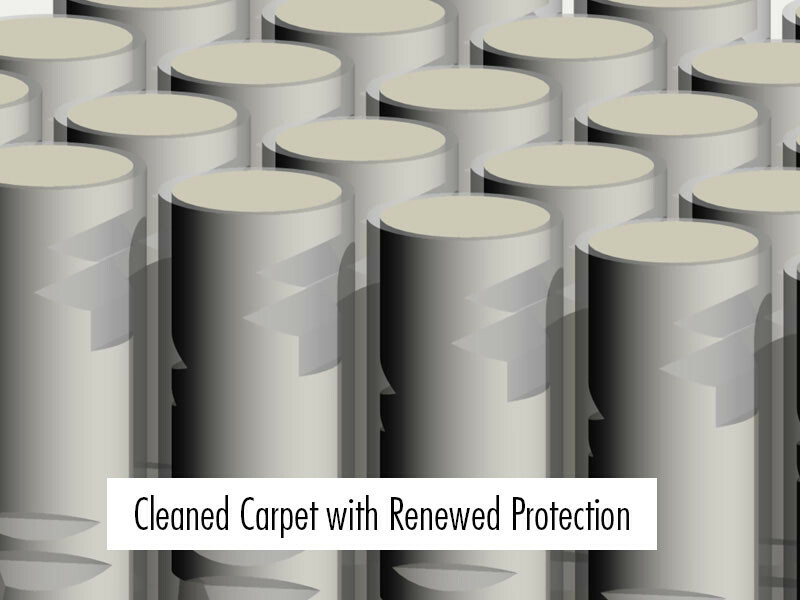 Most carpets receive stain protection as well, which happens during the manufacturing phase.